As a long-time pet owner of both cats and dogs, it has always been obvious to me that dogs and cats communicate and have social interactions in different ways. 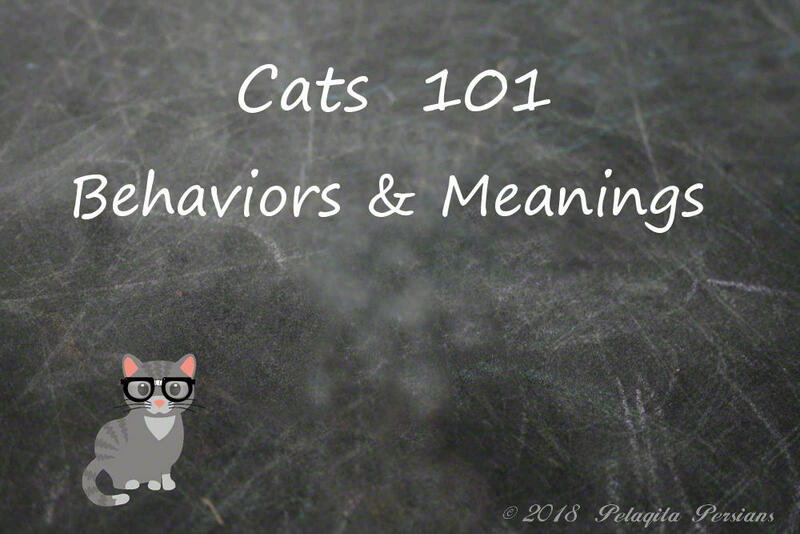 If you are scratching your head in confusion about your cat's behavior perhaps this article can help decode some of the mystery. Because cat behavior is so unique, we love them even more when they decide to show us affection by head-butting us or being silly and stuffing their large body into a small box. Most behavior that we humans consider weird or unusual are normal in the feline world. Below are our top 10 cat behaviors that people usually contact me about. If an owner is the victim of their cat head butting them, they should feel fortunate as their cat is saying "Hi, I trust you and feel safe". Also, a cat shares facial pheromones with you by wiping their face and check area on you. The cat is "marking" you and your household as "theirs". The cat is "claiming" you. As a kitten, the mother might have brought back dead prey. In feral cats who can get more food than they need for themselves, often bring the extra "food" back to other members of the cat colony, especially if there are kittens and nursing mothers present. Perhaps your domestic cat suspects that you need help with providing food by offering its owner extra "food". While humans find this practice gross, do not punish a cat for displaying this normal behavior. Instead, keep the cat indoors. Perhaps, put a bell on its collar to warn prey she is in the area. it is some type of instinct allowing cats to prepare their muscles for the act of bringing down prey. Many people call a cat rhythmically pressing her paws, one after the other (like a massage) "making bread" or "making biscuits" as it resembles a person kneading dough. Cats seem to display this behavior to show contentment and happiness, maybe even a bit of "marking" you as theirs. Sometimes, they may be trying to relieve anxiety. Making biscuits is an instinctive behavior beginning shortly after birth when a kitten "kneads" their mother's mammary glands to stimulate the milk flow. There is nothing so disconcerting to an owner as having a pair of unblinking eyes staring at you. Your cat is not trying some new "mind control", he is probably trying to get your attention to get you to give it some food. If the cat is not trying to coax the next meal out of you, most likely it is simply showing you affection and wants to know exactly what you are up to. Your cat suddenly seems not to care about you. Just like with us, cats sometimes need quiet, "alone" time. When a cat acts like he needs space, it is highly advisable to let him have it and teach children to respect this boundary is key to preventing an accidental scratching. By allowing a cat its' alone time, you are setting the stage for him to seek you out for cuddles and lap time. There is nothing quite as loud as a cat yowling in the middle of the night while you are trying to get some sleep. Sometimes, this nocturnal behavior is based on the primitive instinct to hunt. To get a complete night's rest, before going to bed, provide your cat with a way to burn off excess energy. Sometimes, providing the cat with food puzzles and other enrichment toys during the daylight hours will tire your nocturnal kitty out so you can get a good night's sleep. If you have a cat that has never displayed this type of behavior and suddenly starts to cry during the night, please seek out the advice of your veterinarian as the cat may be sick. If your cat chews or eats plastic, dirt, carpeting, wiring, milk jug rings, wool blankets, etc., the cat might have a condition known as "pica". Medical reasons for developing eating or chewing weird substances could be gastrointestinal or some form of anxiety. Cats chew on non-food items as a way to cope with anxiety, much like a human would bite their fingernails or twirl their hair. However, chewing or eating non-food items could result in serious medical issues, including blockage which could require surgical intervention. If your cat routinely eats or chews on non-food items, please see your veterinarian. Every cat owner I know, including me, has spent many hundreds of dollars in beds, climbing trees, cat condos, etc. only to see the cat choosing a small space, cardboard box, an uncomfortable bathroom sink or similar small, uncomfortable hidey-hole. Why do cats do this? Small spaces make cats feel more secure and safe. In the wild, cats need stealth to survive, so sleeping in the middle of a wide-open space would make them prey to larger predators. Curling up in a small hole (den) on the other hand makes it more difficult for a predator to find them. A good signal that your cat is asking you for some "quiet" time is if you find him curled up in a small box or space…. It's a good idea to let them alone as he will seek you out later after his nap. Most (but not all) cats will cover their waste in the litter box. If you happen to have a cat that always is meticulous in its litter box habits, count yourself one lucky owner. However, if a cat who has always had tidy litter box habits suddenly stops covering its waste (or not even using the litter box), this could be a sign of a serious medical condition such as a urinary tract infection. It is important to rule out any medical problem by taking the cat to the veterinarian. If no medical condition exists to explain why a cat suddenly does not want to cover their waste or use their litter box, then it is a behavioral issue. It could be a simple as a change in the litter the cat was familiar with or perhaps, the cat has decided the box is too small and prefers a deeper or wider litter box, or a hooded one. Perhaps the litter box is not clean enough to satisfy your cat's fastidious nature or there was a change in the household (new baby, new spouse, new home). In multi-cat households, the rule of thumb is one litter box for each cat, plus an extra one. For example, if you own 4 cats, you should have 5 litter boxes.